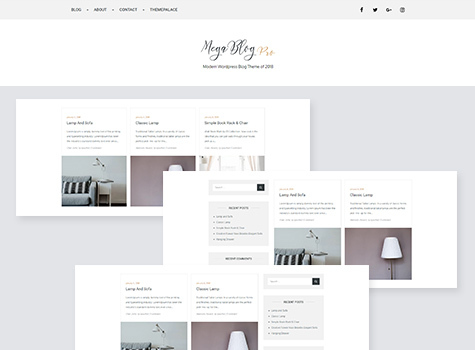 Mega Blog Pro is one of the fastest, clean, easy to use and aesthetic responsive WordPress Blogging theme. 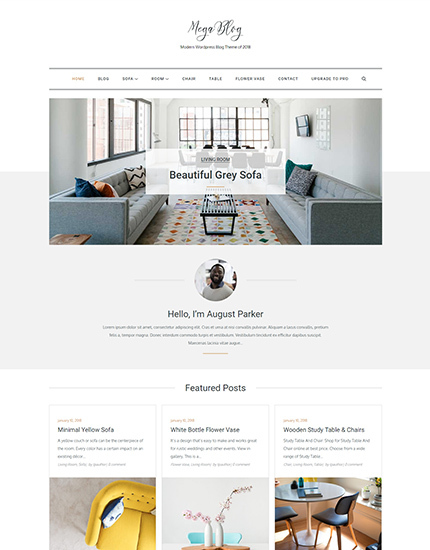 The theme features different layouts with sidebar position and color selection which you can pick and choose with a mouse click, allowing you to customize your WordPress site you want. 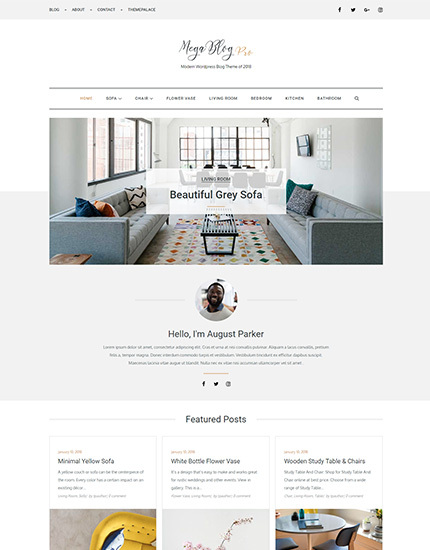 This theme perfects for blog, news and personal websites. When it comes to web development, beauty and simplicity often go hand in hand. 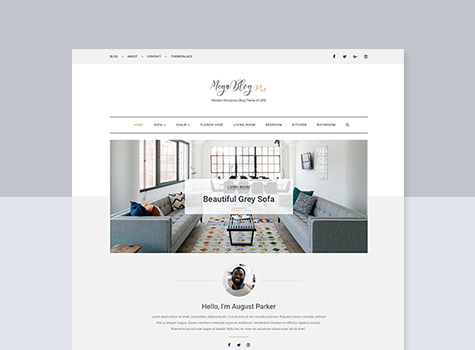 Mega Blog Pro is very cunning, modern, attractive and appealing, making it certain that both the site owner and the reader will be able to appreciate this product’s streamlined layout. This helps to put together modern and functional blogging sites with advanced features in a matter of minutes. Mega Blog Pro is super clean and feature packed. Immaculately designed and coded, it gives you the freedom to create the design of your choice comfortably. Sometimes, you like what is offered to you but wish you could slightly rearrange some sections so you could frame the layout of your choice. 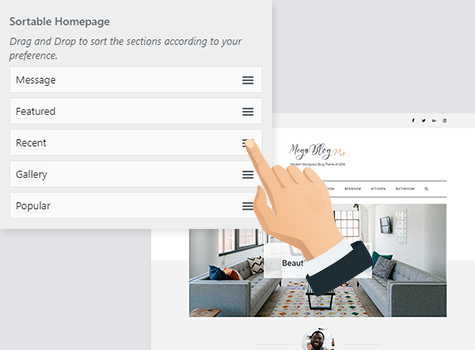 With its easy sort/rearrange home page sections option, Mega Blog Pro gives you the artistic freedom to design the blog of your choice quite easily. Whilst color is one of the most powerful tools in a designer’s toolkit, it’s often a tricky concept to master. Therefore, Mega Blog pro provides you with attractive color schemes as well as unlimited options for color picking just in case you don’t approve of the default color schemes. 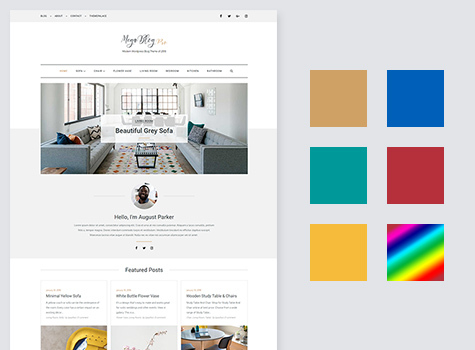 Its elegant pre-defined layouts as well as virtually unlimited color options gives you the flexibility to easily match your brand’s colors and give your website the style that fits your purpose. Fast loading and lightweight, Mega Blog Pro is well suited for high performance even during peak traffic scenarios. Moreover, it is fully responsive on all devices and runs smoothly on desktop computers, tablets and smartphones. It’s modern set of competitive tools and resourceful features simplify the blog-building experience, making it a very powerful blogging theme.